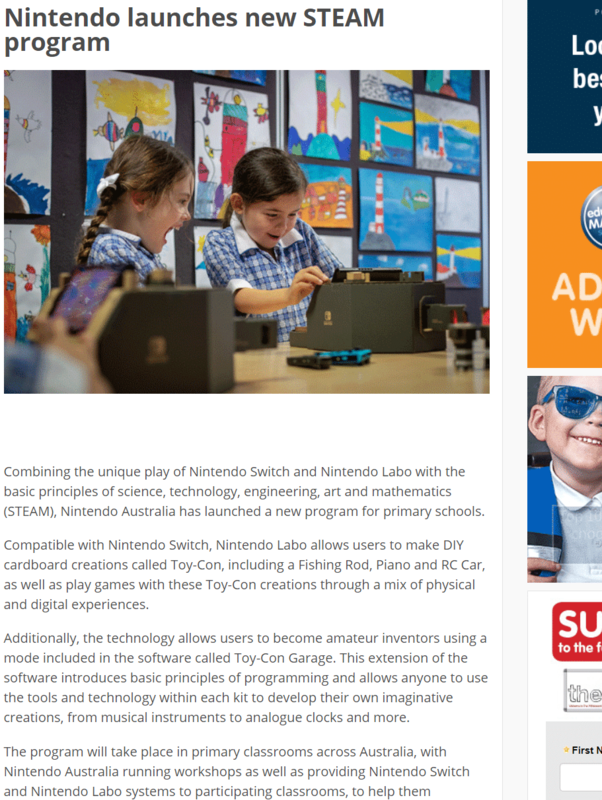 Combining the unique play of Nintendo Switch and Nintendo Labo with the basic principles of science, technology, engineering, art and mathematics (STEAM), Nintendo Australia has launched a new program for primary schools. Additionally, the technology allows users to become amateur inventors using a mode included in the software called Toy-Con Garage. This extension of the software introduces basic principles of programming and allows anyone to use the tools and technology within each kit to develop their own imaginative creations, from musical instruments to analogue clocks and more. 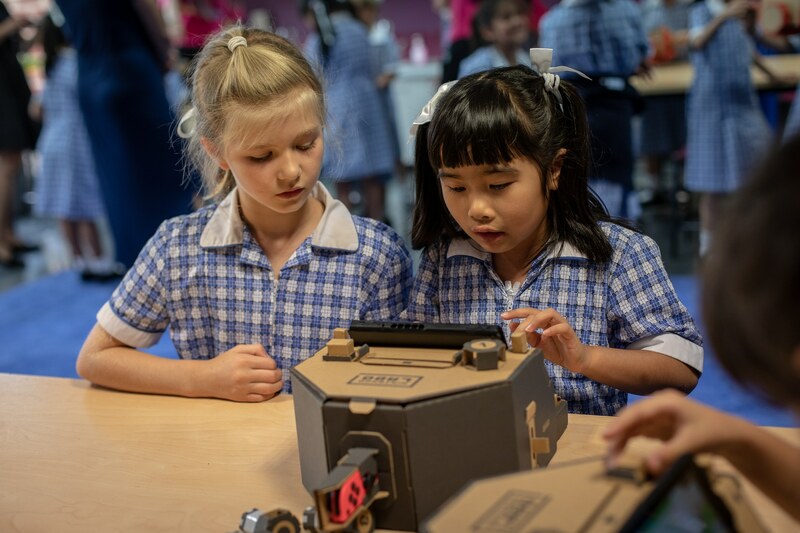 The program will take place in primary classrooms across Australia, with Nintendo Australia running workshops as well as providing Nintendo Switch and Nintendo Labo systems to participating classrooms, to help them reinforce skills such as communication, creativity and critical thinking. According to the Australian Government, Department of Industry, Innovation and Science, it is predicted that by 2026, 75 per cent of jobs will require workers with STEM skills. Nintendo’s new program, initially targeting almost 800 students, has been developed to help young school students to discover more about STEM in a hands-on and engaging environment. Students from Strathcona Baptist Girls Grammar in Melbourne (pictured) had the opportunity to test out the program. “STEM is incredibly important as it creates a foundation for a range of skills far beyond science, technology, engineering and mathematics. For example, by integrating STEM skills through play during the Nintendo Labo workshop, our students also developed problem-solving, creativity and critical thinking skills. 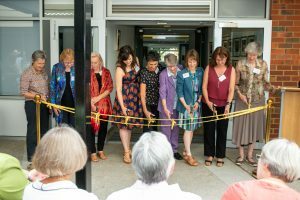 STEM skills are a gatekeeper to many wonderful careers: by fostering an interest in STEM subjects in our students from an early age, we are giving them a head start for many interesting pathways in the future,” said Michelle Dennis, Head of Digital Learning and Innovation at the school. 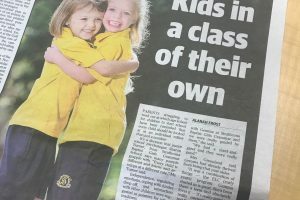 Girl Geek Academy Co-Founder and CEO, Sarah Moran, said she is excited about the opportunities this new program will bring to Australian school children. “Nintendo Labo is a special piece of magic that brings basic STEM educational principles to life. It’s perfect for the little learners because they can build and customise their very own STEM toy creations and bring them to life. The clear outcome is an ignited passion and excitement for STEM at an early age in a way few other programs are able to achieve. 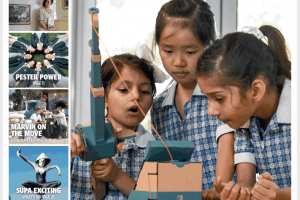 Nintendo Labo sparks joy not only in kids but in teachers and parents too,” Ms Moran said. 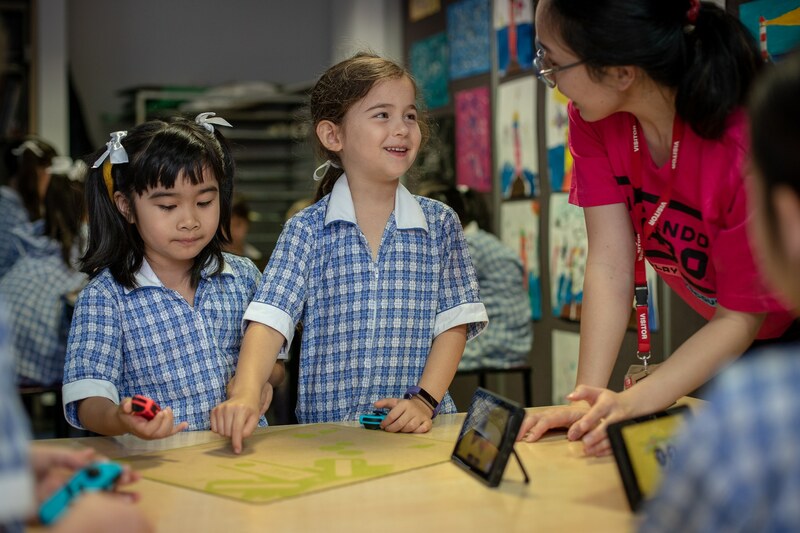 Nintendo Australia Managing Director, Kamon Yoshimura, added, “We hope our program provides children across Australia with the tools to build, explore, problem-solve and, in the process, get excited about design and technology – all while having fun. Other Media coverage about Strathcona and Nintendo Labo Creative workshops.